Your smartphone is a handy device that most people cannot do without due to the convenience and access to the online platforms for diverse online experiences. However, staring at your smartphone more than necessary could have an adverse impact on your eyes. Smartphones are, unarguably, an indispensable device, but here are ways you can protect your eyes from smartphone strain. When using your smartphone, ensure to blink as often as possible to keep your eyes moist and prevent eye dryness and irritation. Usually, you blink less than you would normally when you are staring at your smartphone and that does not allow the protective tears to reach your eyes. Blink often to refocus your eyes and keep your eyes moist. If your smartphone is not equipped with anti-glare protective glass or it does not have a matte screen protective film, buy and fix an anti-glare or anti-reflective coating on your smartphone screen. It cost less than $20 in material. Protect your eyes from smartphone strain for less than $20. You may be tempted to stay glued to your smartphone screen for several hours uninterrupted. To prevent straining your eyes, take short breaks from staring at your device. A concept of 20-20-20 suggest that you take a break of 20 seconds looking away from your smartphone after spending 20 minutes and look at something about 20 feet away. That will ensure that you relax your eye muscles. Excessive brightness of your device’s backlight places a lot of stress on your eyes and can make you not focus properly after a long time. To prevent this problem, go to your smartphone settings and reduce your screen brightness to the level of the ambient light around you. Another way to relieve your eyes of strain is by adjusting the text size to make it easy and convenient to read web content or textual content on your smartphone. So, you would not meet to struggle to read text and stress your eyes. Most people hold their smartphones only about 8 inches away from their faces. This is not good for the health of your eyes. 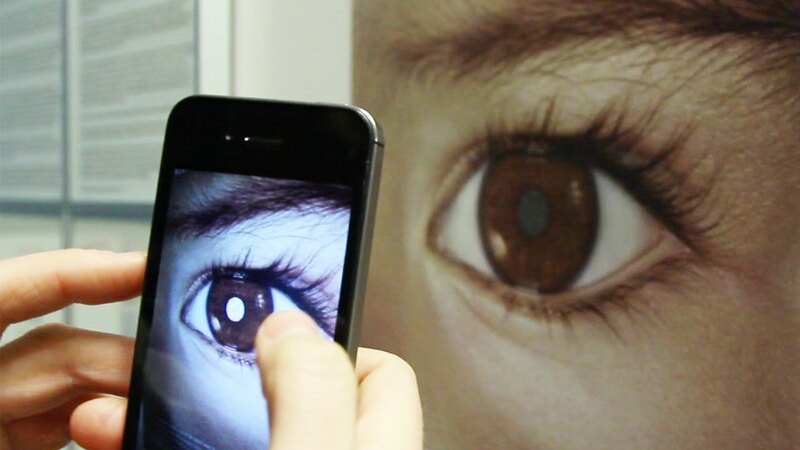 Hold your smartphones away at least 16 inches away from the eyes to give your eyes a break. The tips above are more comfortable to follow than straining your eyes and impairing the strength and health of your eyes. If you are feeling an uncomfortable strain even after these tips, it will be wise to visit your local optometrist, to get a proper consultation on the health of your eyes.